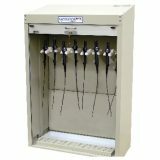 Aegis 1-EL-F-72 Solid Door Medical Laboratory Freezer on Sale! 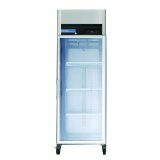 Aegis 1-EL-F-72 Solid Door Medical Laboratory Freezer 72 cu.ft. 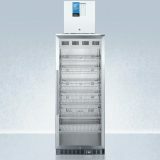 delivers an ideal cold storage environment which meets or exceeds the AABB and CDC regulations for frozen medical applications like enzymes, sample medicine and vaccines. 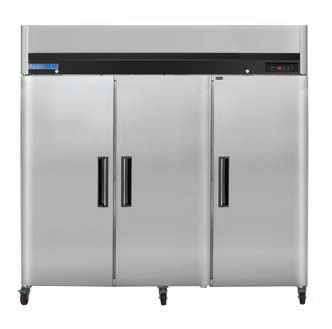 The Aegis 1-EL-F-72 Solid Door Medical Laboratory Freezer comes with a 6’ (2m) NEMA cord set and includes a condensate evaporator, no drain connection needed, so it arrives as a “plug & play” appliance. The unit security is ensured by a door lock and key set and password protected digital control system. The basic design delivers years of trouble-free, reliable, cost-effective operation if properly maintained. Aegis Scientific, we are proud to serve the scientific community with industry leading solutions in controlled temperature cabinets. Currently, our line of products extends into such sciences as laboratory, pharmacy, blood bank, and chromatography and are designed to meet the dimensional and temperature requirements of each. Many accessories are available for these models including alarms, recorders, casters and roll out drawers to customize units to your specific requirements. 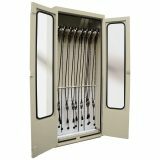 All Aegis cabinets feature a comprehensive one year parts and labor warranty and a five year compressor warranty. 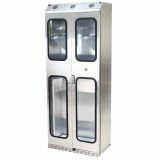 Aegis 1-EL-F-23 Solid Door Medical Laboratory Freezer 23 cu.ft with forced air cooling system delivers an even temperature distribution throughout the unit. Internal temperatures are held within ±2°C and the factory settings enable the unit to hold -20°C nominal. We can help! Fill out this short form and we'll find the product for you.